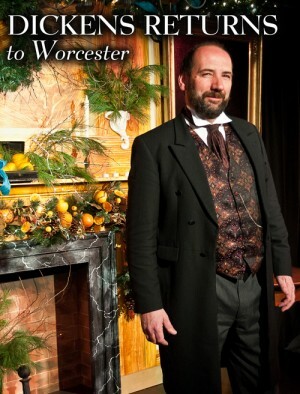 Gerald Charles Dickens takes the stage at Vaillancourt Folk Art with two exciting performances! 'The Republic of My Imagination' — During Dickens’s tour of America in 1842 he was left disappointed with his expectation. Although his American journey was left relatively undocumented, there were multiple letters that were found. This performance speaks upon Dickens’s journey, including his famous letter home to his friend William Macready stating, “this is not the republic I came to see; this is not the republic of my imagination.” 'Oliver Twist' — This is Victorian theatre at its most dramatic. Most of Charles Dickens readings were safe, well known passages from his novels. In 1869 he introduces Sikes and Nancy to his repertoire. When Dickens performed what he called “The Murder” he judges the evening’s success by the number of woman who faint in horror. Today it has lost none of its punch.